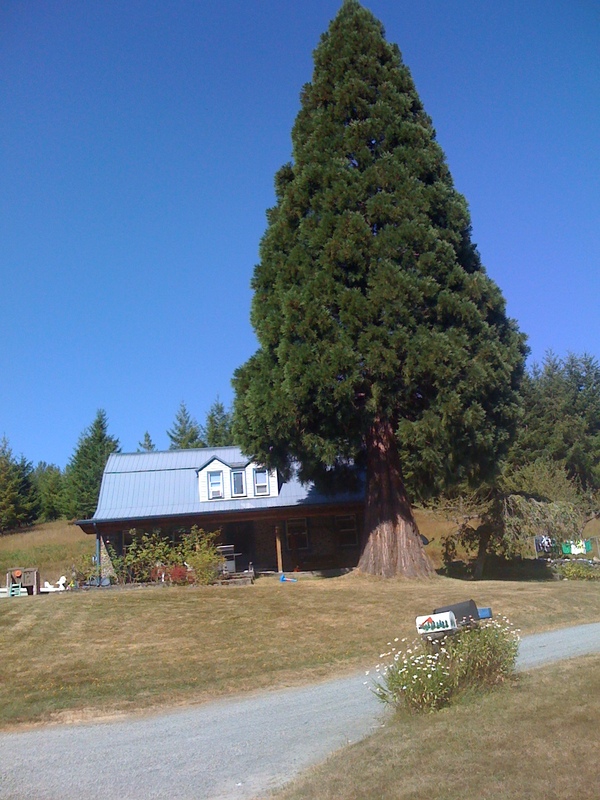 Giant sequoia here in Port Angeles, WA. It is in a public park called Lions Park. Its age and who planted it is yet to be determined. It is 110' tall and aprox. 70 years old. Photo was taken by Tyson Minck in 2017. The tree is at risk from the local city which is doing a risk assessment. Tyson Minck sent us a photo of the Lions park giant sequoia with the local signs created by those in the area who are hoping to preserve the tree. Thank you Tyson for sharing the story and photo from Port Angeles, Washington. 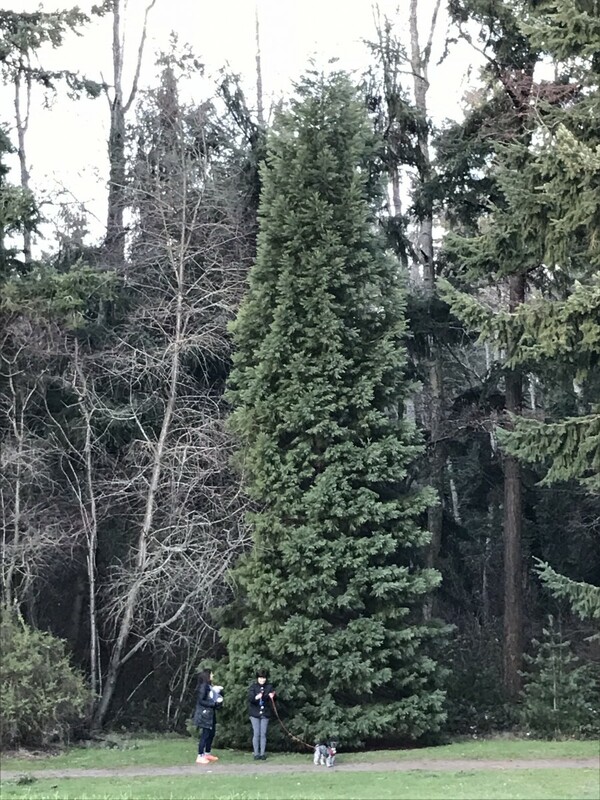 Mercer Island giant sequoia tree grown from seed by Yogesh Agrawal to memorialize his father and father in law's lives. It is twenty years young as of 2018. 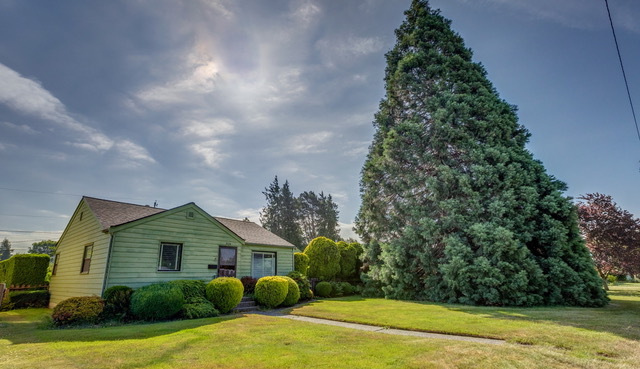 Thanks to Mark Dietz for sending us these images of giant sequoia trees in Ridgefield, Washington. The large tree was planted in 1873. There are actually 3 trees in this picture, one behind the very large tree in the foreground and one whose top you can see in the bottom right of the image. 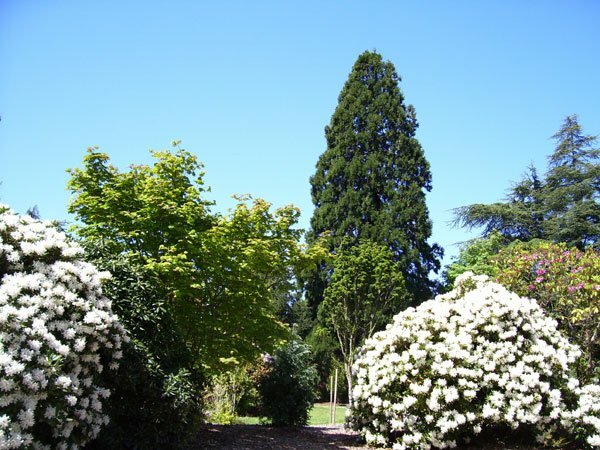 Thanks to Mark Dietz for sending us these images of giant sequoia trees in Ridgefield, Washington. The large tree was planted in 1873. 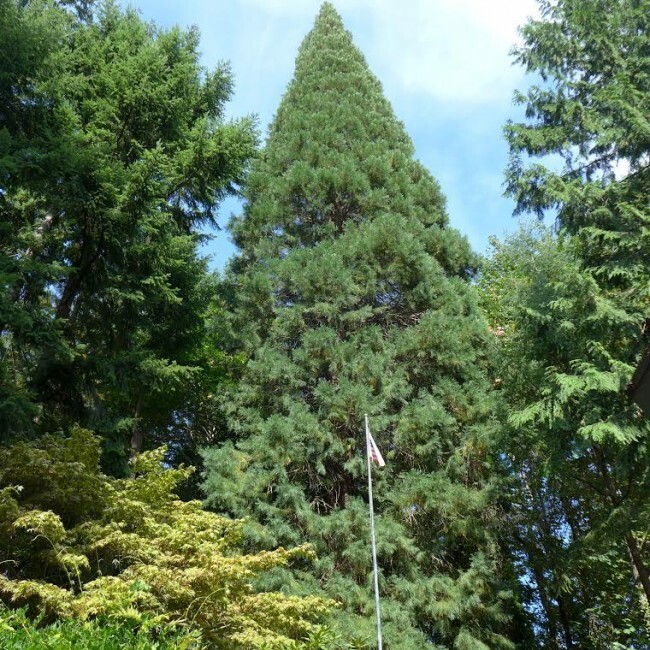 Thanks to Robert Janyk for sending us this image of a very large giant sequoia tree growing in Bellingham, Washington. Robert said “not sure of the age exactly….as I am not sure when it was planted by the family who owned the property. Somewhere between 80 and 100 years would be a good guess…if there is such a thing as a ‘good guess'. 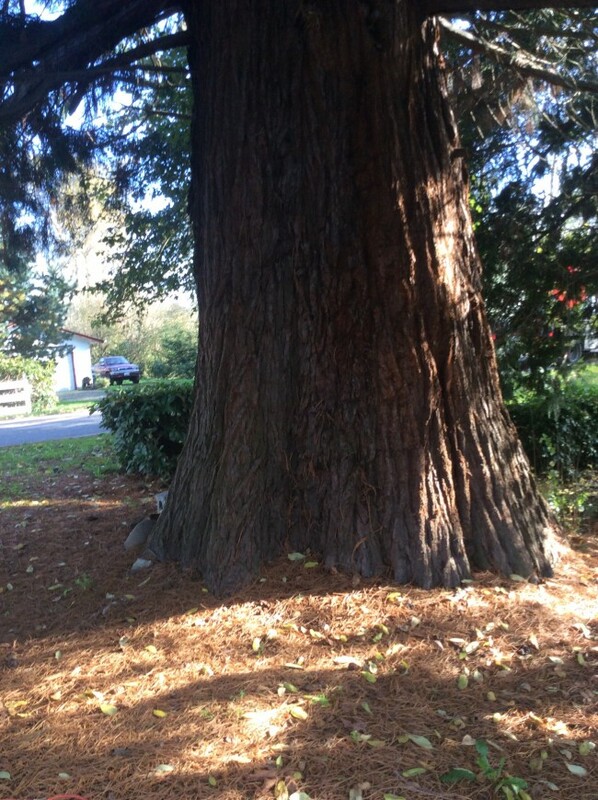 Circumference at the base is 29’ (app 16 - 18” across) and it is between 80’ - 90’ tall…a large big tree indeed. Somebody could make a lot of cribbage boards out of that tree”. 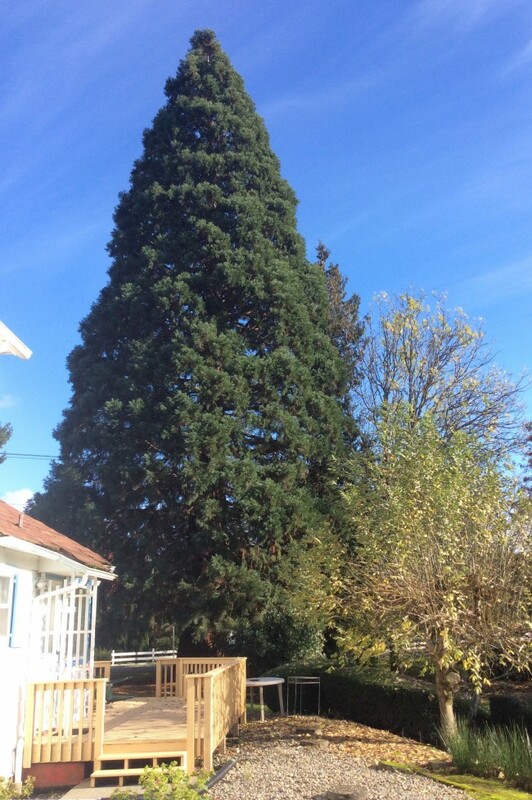 Thanks to Jennie from Bellevue, Washington for sending us a picture of this beautiful giant sequoia tree growing in her backyard. She received information from the previous owner that this tree is 55 years old. 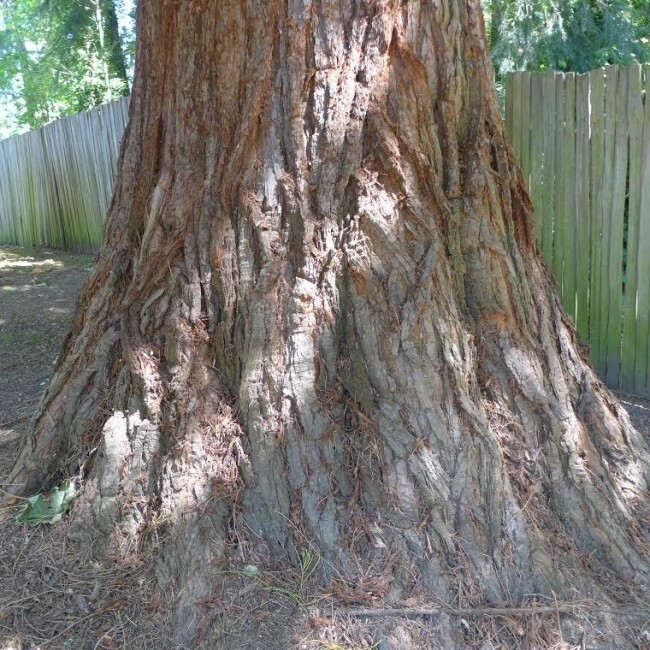 The trunk of Jennie’s giant sequoia tree in Belleview, Washington. 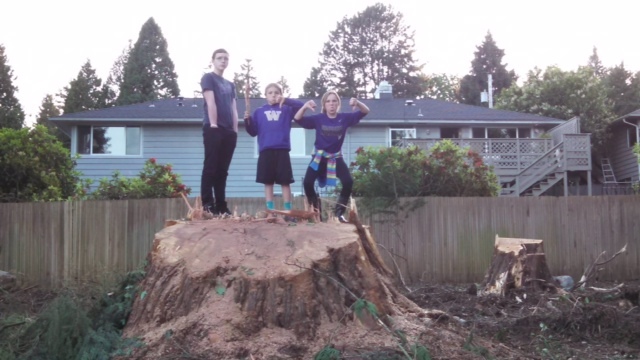 These kids are showing their displeasure at the removal of this giant sequoia tree in Bothell, Washington. 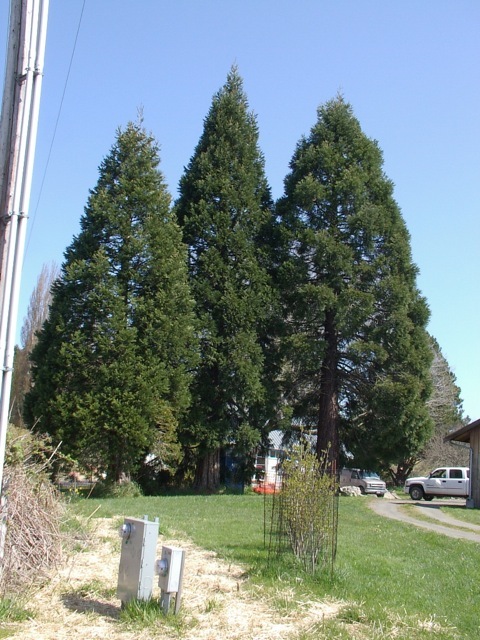 Thanks to Eric for sending us these images of a giant sequioa tree located on his parents property in Fife, Washington. Trunk of tree in Fife, Washington. Thanks to Eric for sending us this image. 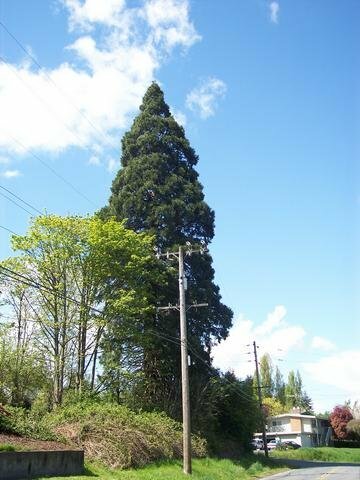 This Sequoia is growing in my neighborhood in West Seattle. There is a small plaque at the base - can't remember exactly what it says but something along the lines of it being a 'heritage tree' in Seattle. It's about 90-100 yrs old, planted around 1910 I think. The city made a sidewalk revision around it to accommodate its girth. I love how it dwarfs the house behind it. Thanks to Damon Kiley for sending us this picture. This picture was sent to us by Joe Dube. He grew this tree from seed in a pot in Irvine, CA in 1988. Sometime before 1993, his brother Tom carried it in a bag on the plane to Kirkland, WA and planted it in his backyard. It has done well, on the edge of a small wooded hillside and today might be 50 feet high. The tree is the perfectly shaped one, center right. Thanks Joe for sending us this picture. 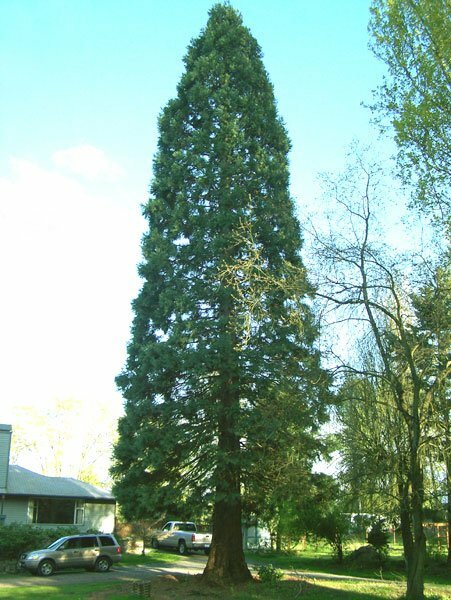 Jasons Giant Sequoia - This specimen happens to be in my front yard here in SeaTac, Washington (Just south of Seattle) with a height of around 110 feet, it is one of the taller Sequoias in the Seattle area. The overall health of this tree is excellent. Driving through Washington one can view hundreds of examples of giant sequoia trees which are mature. This example is located in Elbe, a small town at the turn on hwy going up to Mt. Ranier National Park. The giant sequoia trunk is particularly awesome. Grays Harbor - I planted this tree about five years ago on my daughters land. It's on the Satsop River in Grays Harbor county. I planted another one at the same time, but high water came shortly after and killed it, but this one is doing great. 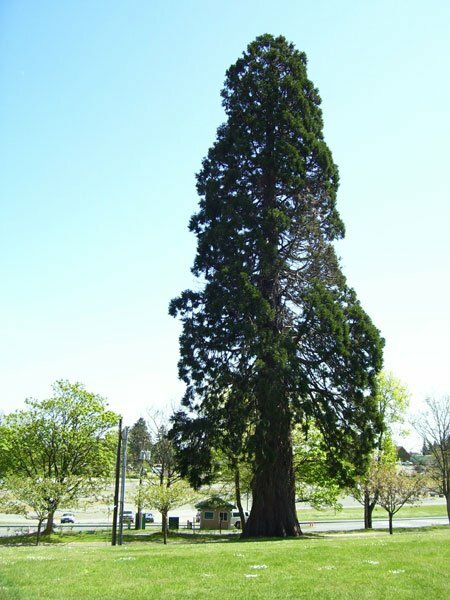 Point Defiance Park Giant Sequoia - Here is one of the many Sequoias growing in Point Defiance Park in Tacoma. 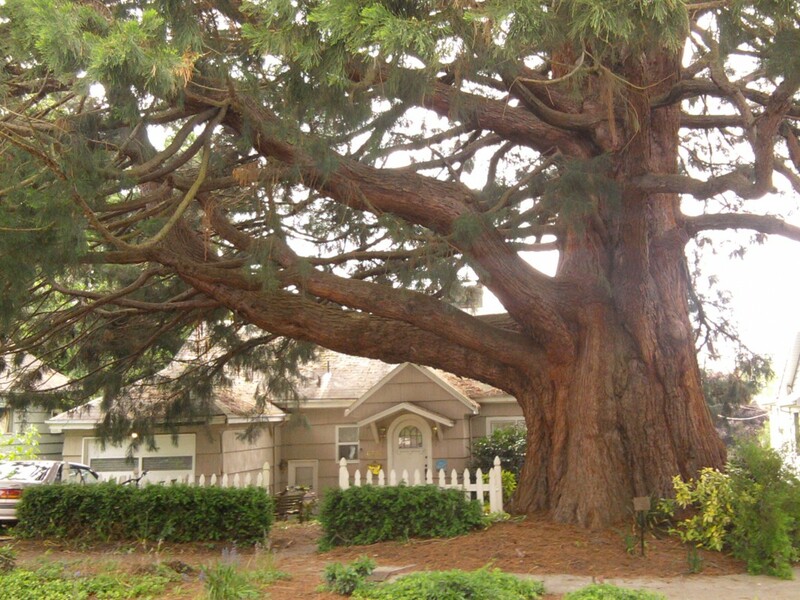 This is one of the best examples of a mature tree in Western Washington. The park itself is over 100 years old. 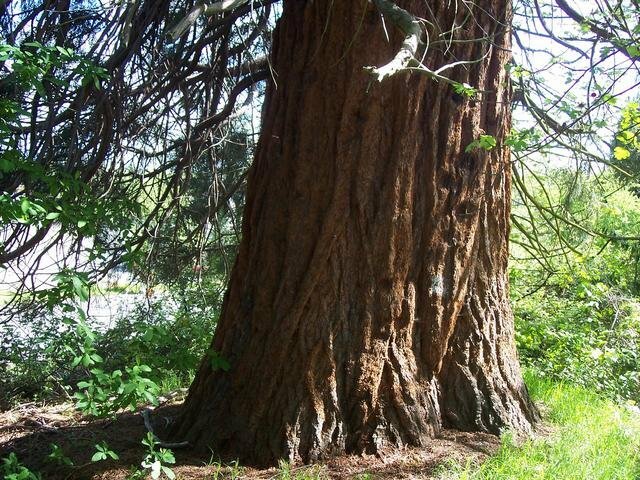 Tukwila Washington giant sequoia trunk - The trunk of the Tukwila tree is about 6 feet in diameter. It is clearly growing quite well without any care in this small city south of Seattle. Tukwila Washington giant sequoia - This sequoia growing in Tukwila, Washington is over 100 feet in height.